We have been selling telephone systems, all in the cloud, for a while now. We’ve been relying heavily on a fantastic partner of ours to provide this service, but it has it’s limitations. 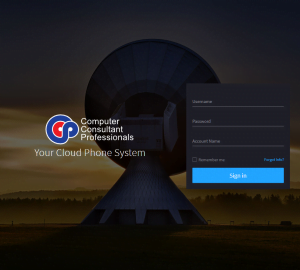 For the last two years, we have been looking in to new phone platforms that is more than just another VoIP phone system or cloud PBX. We have recognized that being able to answer your office phone from anywhere, not being tied to a physical location, being able to route calls in weird and wonderful ways is something our clients want. But not only that, you’re going to want a system that helps you beat the competition and we are ready to unveil that very system. Now that we run all the systems ourselves, it also allows us to offer these advanced features at a competitive price, with multiple call plans. We know that your phone system needs to be reliable and we have built this system from the ground up with this in mind. Our system runs in 3 locations (Brisbane and Sydney for Voice and Perth for database redundancy). In our testing over the NBN network, voice latency was only 20 milliseconds. If you need 5 lines today and 50 tomorrow, our system is designed to scale up or down as you require. We can also track which extension in your office made each call and can report on that in your monthly phone call invoice. We are very open to feedback on our invoice layout, so let us know if there is something important you want displayed, we can provide that. We are planning to start migrating our existing customers over to the new platform in a series of waves. Our first customers will be migrated as early as June 2018. If you are on our phone systems already, we will contact you with more information. We expect no downtime during this transition. You should contact us to find out more and how our new system can give your business a competitive edge.